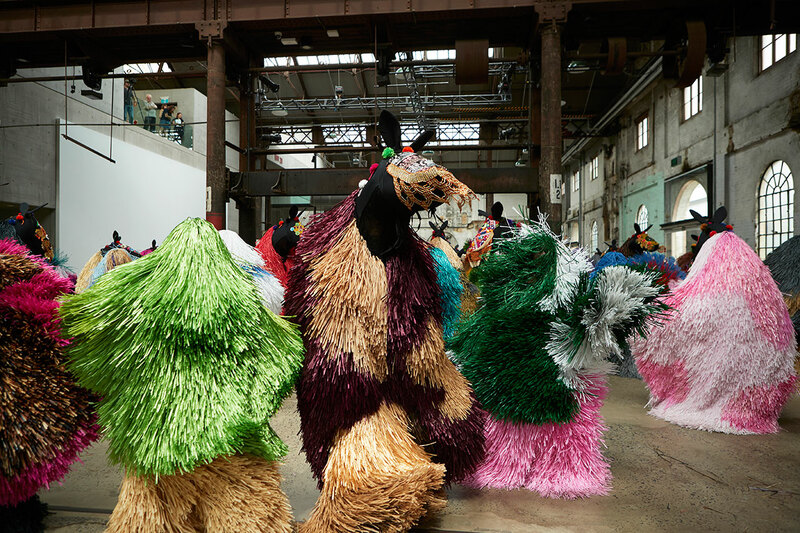 In the moments after American artist Nick Cave presented the final performance of his spectacular equine flash mob HEARD·SYD at Carriageworks last Saturday, the room was electric. Audience members of all ages were both moved to tears and elated with a palpable euphoria in equal measure as the artist and 60 local performers emerged for an encore, shedding their mesmerising raffia Soundsuits and dancing for an audience of hundreds who had convened to bear witness to the first major presentation of the artist’s work in Australia. It was, much like the performance, a brief and shimmering moment of joy and protest against the status quo – at once both transcendent and at odds with much of what had come in the days before it, where gatherings of similarly minded people had come together en masse to make their voices heard in unison. For many, HEARD was an introduction to the work of the Chicago-based artist, who created the first of his signature Soundsuits in response to the 1991 Los Angeles police beating of Rodney King. His most recent work Until, an installation unveiled three weeks prior at the Massachusetts Museum of Contemporary Art (Mass MoCA), marks a return to the political – not that an element of such is ever missing from his work. Like Cave’s first Soundsuits, Until addresses contemporary incidents of racial violence and police brutality — the killings of Michael Brown, Eric Garner and Trayvon Martin, amongst them — albeit on a much grander scale, and like HEARD, the work too will travel to Carriageworks after its nearly year-long residency in 2018. A work that Cave says is three years in the making, Until has been staged in the middle of the largest exhibition space at at Mass MoCA – a former factory that’s reportedly as long as a football field, or around 5,000 square metres. 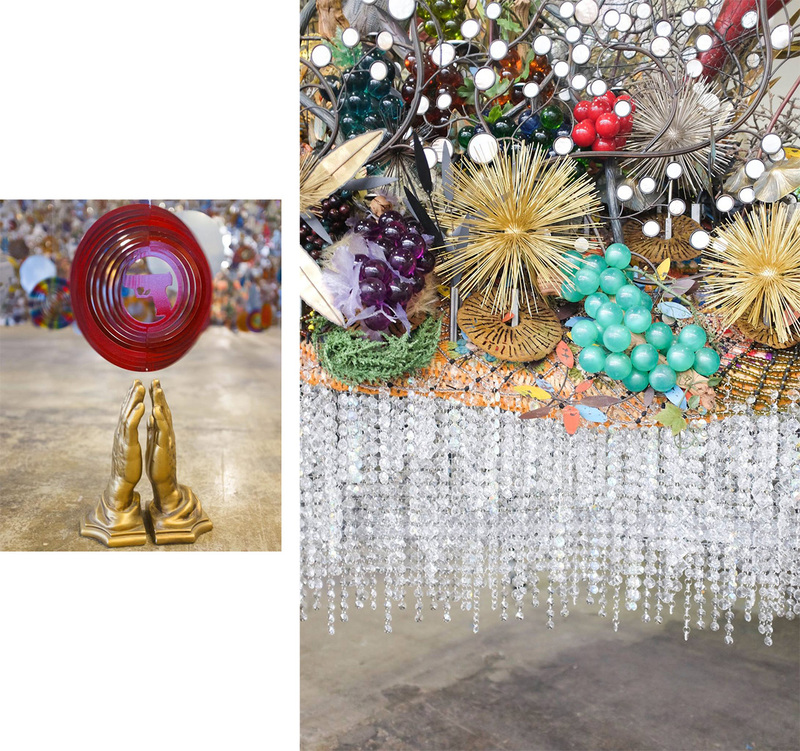 As such, Until meets scale with ambition, creating a wonderland of found objects, tchotchkes, millions of beads and crystals – a visual feast that masks a grave political undercurrent. Essentially, it is an invitation to step inside Cave’s largest, most ambitious Soundsuit to date. 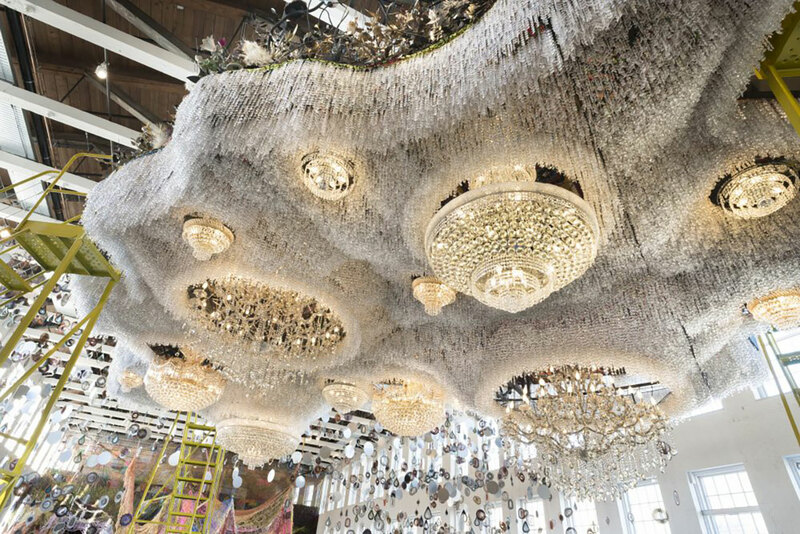 Visitors to the installation enter Cave’s world on a mirrored floor above which sits a dense canopy of spinning lawn ornaments leading into a suspended crystal cloud populated by birds, flowers and black-face lawn jockeys, a symbol that hearkens back to an African-American boy who served George Washington who froze to death while keeping watch over the horses. 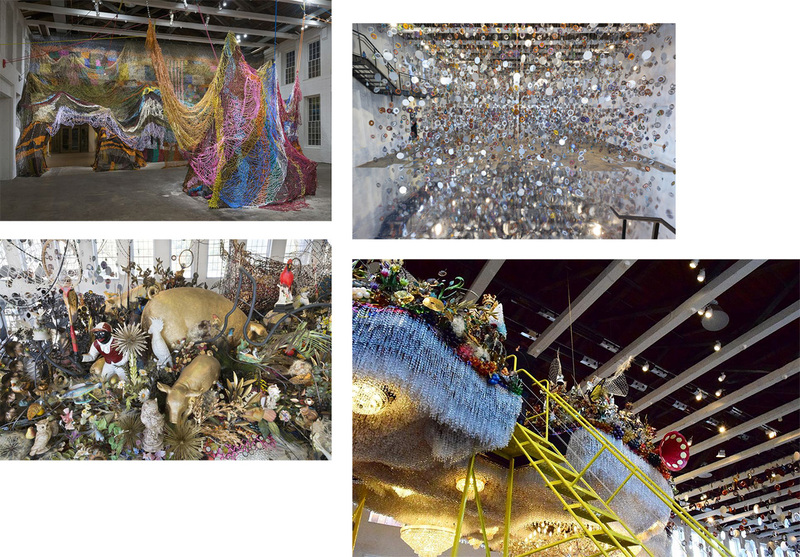 The journey inward culminates at the foot of a mountainous structure woven from millions of plastic pony beads. Throughout, feats of splendour are interrupted by images of guns, bullets and targets, position the viewer at the centre of culpability and vulnerability. “It really creating a platform for conversations to be held within this sort of performance installation, so there’s a lot of call and response,” Cave says of the work, which will also invite groups of artists to create smaller performance works around issues of race and gun violence. Until will open in Australia in 2018, and will be presented free to the public over a six-month period at the Redfern arts institution, which has also in part co-commissioned and funded its completion in partnership with MASS MoCA and the Crystal Bridges Museum of American Art. If the four public performance of HEARD·SYD were any indication, it too should be embraced wholeheartedly by a public apparently extremely eager to experience electrifying works on a similar scale. As with its debut presentation at MASS MoCA, the Sydney iteration will coincide with a curated program of free events spanning music, theatre and performance, alongside panel discussions and community forums that echo Cave’s commitment to engaging the cities and communities where he stages his work. Asked whether he thinks the work will carry with it the same resonance that it has in the States, which is arguably the nexus of gun violence, race and the resulting deaths in police custody, Cave ponders for a moment before responding, “It will have the same significance. I don’t think it will be about gun violence here but it will be about other issues that are, let’s say, dealing with ‘isms’ [racism, sexism, colonialism, et cetera] within your own communities and world. 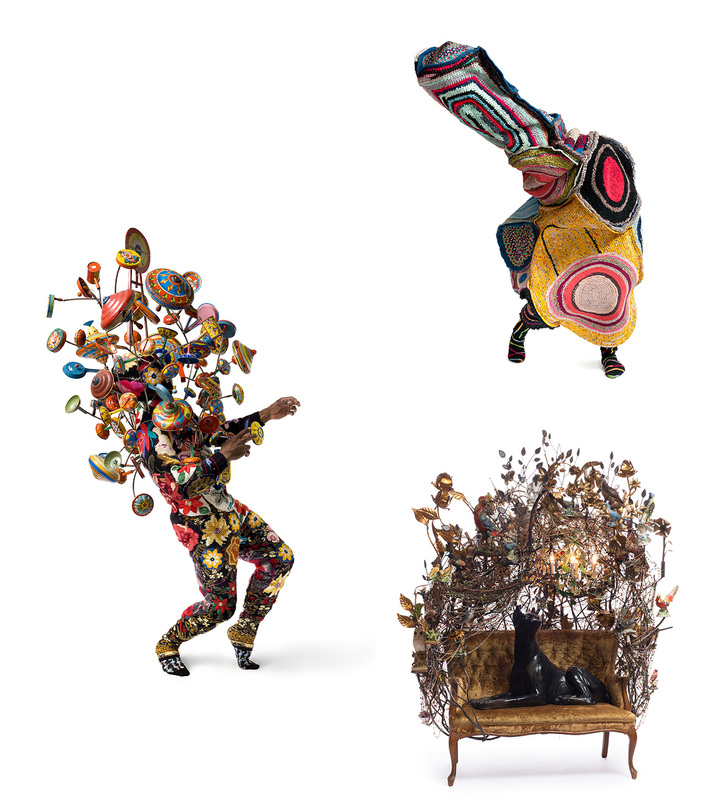 Nick Cave Until will be presented free to the public at Carriageworks, supported by a six-month public program of events including contributions from the fields of fashion, film, dance, visual arts, theatre and literature, in 2018.